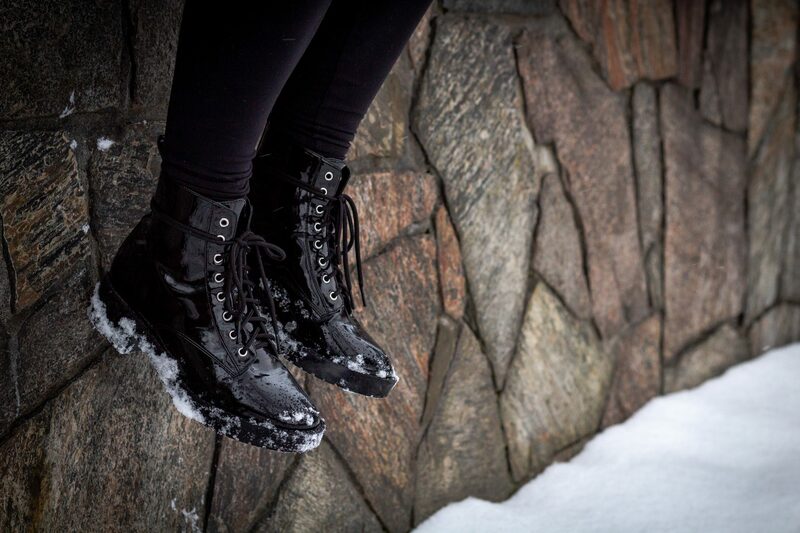 Living in Canada with the harsh and unpredictable winters that we are hit with each year, means that having the perfect pair of winter boots to wear through the cold, snow and ice is essential. Finding boots that don’t leak, slip on ice, fall apart after a year of use or are simply not warm enough, can be quite the task. Luckily, as a seasoned boot-wearer and self-proclaimed lover of winter fashion, I have narrowed down the best boots to wear to and from campus. Your feet will thank me. I believe that up until purchasing my pair of Blundstones, my feet had to suffer from subpar footwear in order to truly appreciate the blessing that is this fine Australia-Tasmania craftsmanship. I have owned these boots for a few weeks now, and in that time the weather has gone from pouring rain and autumn inspired mild-temperatures to full-on Jack-Frost-nipping-at your-nose winter. I have walked through puddles, treaded over ice, and built a snowman comfortably while wearing them. They are made from waterproof leather that’s both warm and comfortable and my feet have yet to be anything but bone-dry when I have them on. Although they are pricey and definitely an investment, you’re paying for quality and durability that should last you season after season. They’re also not ostentatious or the typical winter-boot style that makes you look like you’re about to go exploring the tundra on a Ski-Doo. They match with basically everything and they’re a simple staple. There’s a reason why there were three other people in Soft Moc looking to buy their own pair when I was getting mine. I have owned multiple pairs of Sorel boots over the years and one word comes to mind when describing them: reliable. They serve their purpose and function as less-expensive boots than a brand like Blundstone. They can be very warm, especially if you buy a pair that is particularly cozy with a faux-fur lining (the canvas pairs don’t have as much warmth), and they’re a good choice if you need to walk through snowy areas to get where you’re going. I’m not overly in love with how they look, but because they have so many style options available, you can definitely find the kind that best suits you. A plus for this polar bear embellished brand is that they have vegan styles available that are highly-rated and hold positive reviews on websites like Amazon, which definitely makes narrowing down the right pair easier to do. I personally love the working-man aesthetic of Timbs. The only unfortunate thing about them is that they can look clunky and overwhelming on smaller-sized female feet. That point aside though, they are highly-rated across the internet when you read reviews about them, and their signature look is paired with long-lasting quality. They do come in different colours other than their commonly-associated tan/beige, and they’re a reliable option if you spend a lot of time outside in the cold and snow. They’re made from waterproof leather and are lace-ups, so the likelihood of getting your feet wet while wearing them is slim. The problem with finding a reliable pair of winter boots is that the best ones will likely cost you more than $100. The quality of what you’re buying is typically dependent on the price, and the materials they’re made out of will reflect that. The keys to winter-wear shopping are reading reviews online, looking for exactly what you want (warmth, durability, faux-leather, waterproof, etc.) and trying them on to make sure they fit you properly. It may sound obvious, but there’s no point in spending money on boots that are too small, too big or are simply uncomfortable to wear. Just because we’re in university, shouldn’t mean that we don’t care about our arch support.